Where were you in 2009? Marveling at Captain Chesley B. “Sully” Sullenberger’s “Miracle on the Hudson” emergency plane landing? Grooving to “Boom Boom Pow” by The Black Eyed Peas? Beta-testing a new game called Minecraft? Give yourself and your 2009-era laser printer a big pat on the back if it’s still in operation. 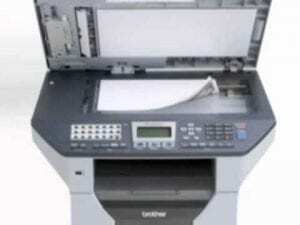 You’ve beaten the odds — the average life expectancy of a laser printer is approximately five years. 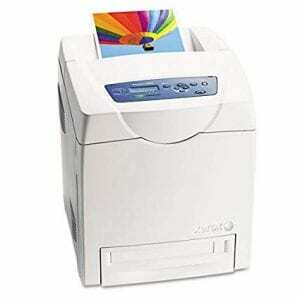 Inexpensive printers often die sooner, while more costly models last longer. But if your 2009 laser printer is still cranking out pages, it’s an elder statesmen of the laserjet set. Can you blame it for being quick to fall into sleep mode, and a little slower waking up? Overview: The Brother HL-2140 is a small, monochrome wonder, roughly 14.5 inches square— small enough to fit on the corner of your desk— yet cranks out 22 pages per minute. Reviews: The Brother HL-2140 remains a small, monochrome wonder, with users singing the praises of this durable and reliable printer. No, it doesn’t scan, fax, or print in color, but it spews out warm B&W pages like a champ. People complain about Brother toner cartridges running low before their time, but overall the Brother HL-2140 is a great, economical laser printer. Overview: The HP LaserJet 1320, introduced in 2004, has two-sided printing and Mac compatibility, as well as 21 pages per minute from a 14-inch-square footprint. 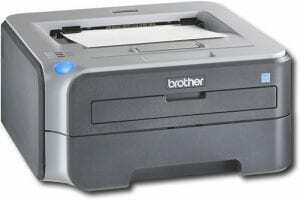 Reviews: Users like this workhorse laser printers reliability and low price point. 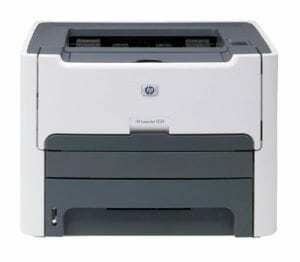 Toner cartridges for the HP LaserJet 1320 are reasonably priced compared to other OEM replacement cartridges. The lack of wireless connectivity was a drawback for the HP LaserJet 1320, even in 2009, but users appreciate the 1320’s never-say-die attitude and low running cost. 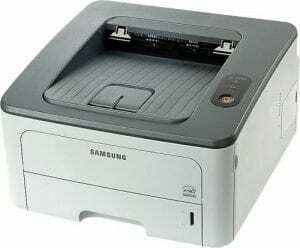 Overview: A monochrome laser that’s fast (30 pages per minute), with built-in duplex printing and network capabilities, the Samsung ML-2851ND was the best small-office printer out there in 2009. Reviews: Opinions on the Samsung ML-2851ND range from outstanding (“A great, straight-forward B&W printer”), to meh (“It does what it’s supposed to”). For a $165 laser printer, you can’t ask much more. Complaints include troublesome Mac connectivity, short-lived fusers, and trouble with the paper tray rollers. Overview: The Brother MFC-9440CN is a top-scanner machine with expandable paper handling, memory, and is network- and security-ready. Reviews: There’s a lot of love for the MFC-9440CN’s speed, high-quality prints, and quieter-than-most operation. But common complaints include short toner life (though we found this hack) and slow speed printing page one. Most don’t recommend it for photo prints, but if you’re looking for a durable small workgroup machine, the Brother MFC-9440CN holds up well. Overview: The Lexmark C532dn offers fast prints, excellent print quality, a built-in duplexer and networking, as well as expandable on-board memory, and up to 24 pages per minute print speed. Overview: The Canon Color ImageClass MF8350Cdn is a color laser-based MFP that delivers impressive speed and output quality along with the ability print, scan, and fax over a network as well as work as a standalone copier and fax machine. Reviews: Owners are fired up about the fast first page printing the Color ImageClass MF8350Cdn delivers, (“quick print time is a huge bonus for our office”). 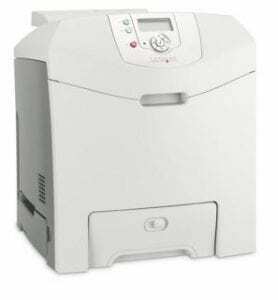 One user called this printer, “a workhorse that has been working hard for three years without issue,” while another claimed it is “very reasonably priced for a lot of functionality.” Not all owners are fans however. The Color ImageClass MF8350Cdn suffers from an unusually high number of technical issues, including trouble linking with Mac networks. Overview: The monochrome-laser based Brother MFC-8480DN delivers fast speed, high quality monochrome output and all the MFP functions a small office needs. 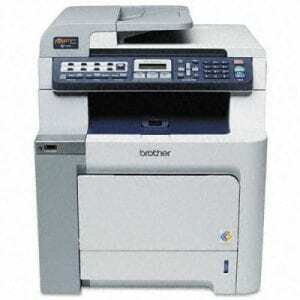 Reviews: This printer/scanner/fax/copier is a hit with users, especially those who switched to Brother from other brands. User J. Fox reports, “We have been using this fantastic laser printer for years and it keeps on going!” while Rebel TechSupport boasts “Brother printers consistently outperform the competition, and cost less to purchase and operate. I am a happy repeat customer who purchases dozens of printers every year.” If you need a monochrome MF laser workhorse, the Brother MFC-8480DN is a beast…the only printer on our list that saw its rating improve over time! 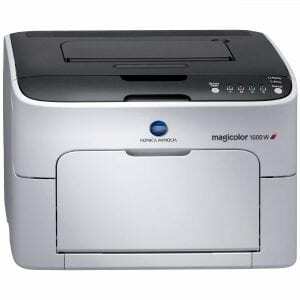 Overview: The Konica Minolta magicolor 1600W is a color laser for small office and home use, with high quality text and vibrant color graphics. A good fit as a personal printer. Reviews: The dreaded “error message” confounded many users of the magicolor 1600W, as did paper jams. Users found simple workarounds (like letting the magicolor initialize and run through a warm-up cycle before loading the paper), and, for the most part, are pleased with the performance of this modestly priced laser printer. Some users felt the magicolor was better built than comparable printers, while others lamented this printer’s lack of networking ability. 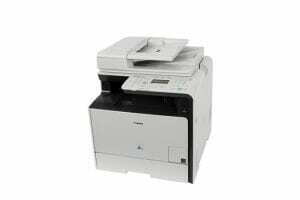 Overview: A mid-priced color laser printer for small offices or workgroups, the Xerox Phaser 6280DN color laser offers great looking text and graphics, reasonably fast speed, and ample paper handling. 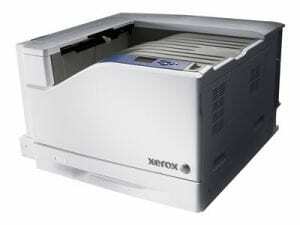 Overview: The Xerox Phaser 7500/DN is an heavy duty color laser printer for tabloid or supertabloid size printing (11x17 inches and larger).